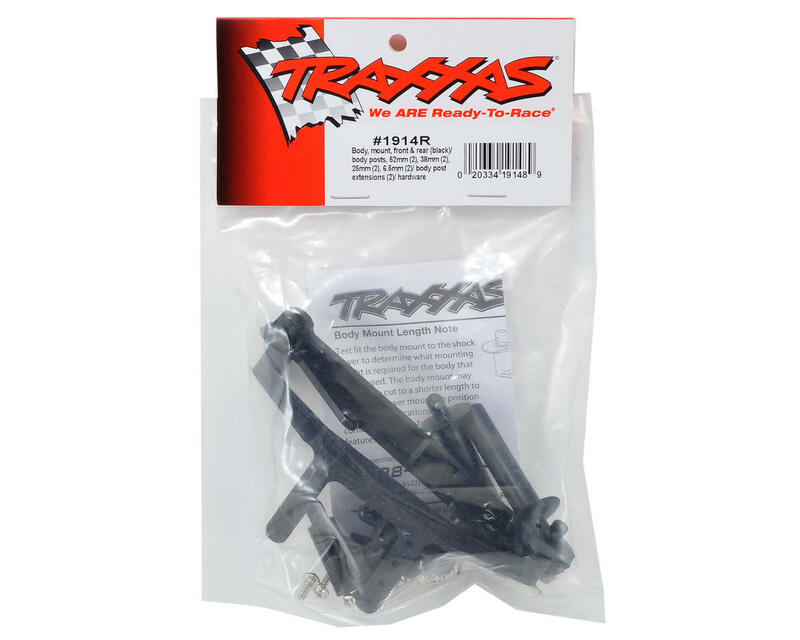 This is a replacement Traxxas Front & Rear Body Mount Set. This is compatible with the Slash and Rustler trucks, as well as the Ford Raptor model Slash, Rustler VXL and Stampede VXL trucks. 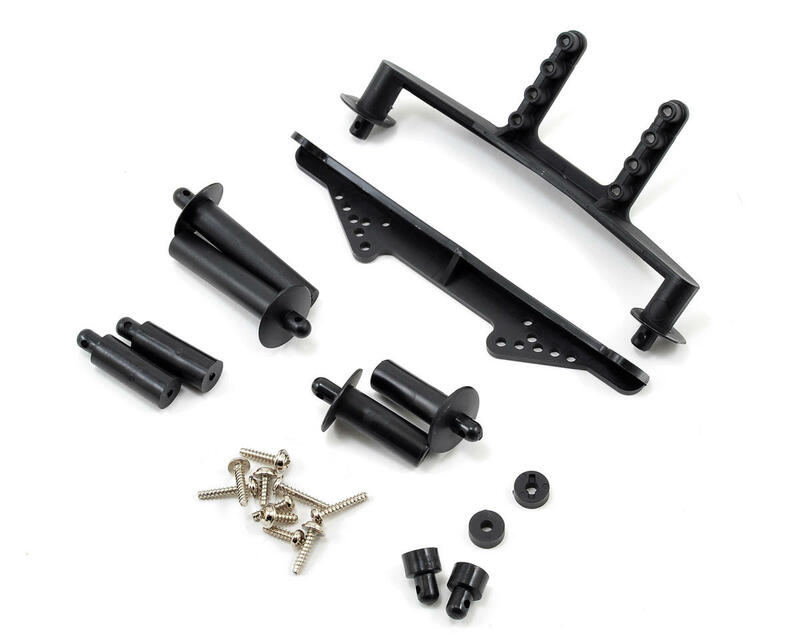 Package includes two 52mm body posts, two 38mm body posts, two 25mm body posts and two 6.5mm body posts, as well as post extensions and replacement hardware.